Early retirement is the dream of many. I wanted to learn the steps on how to get there. Below I have put together 5 steps in the journey. Retiring early is an attainable goal, which many people want. However, it does not happen magically. Only those who carefully plan for and work towards an early retirement will be able to stop working early. 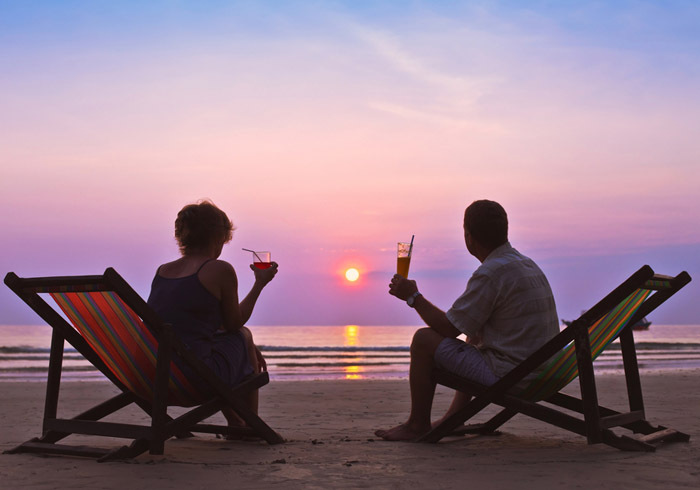 Here are five steps that can help people retire early. The first two are not financially related, but are necessary. The other three are financially geared. What is early retirement? Before anyone can work towards it, they must first define what it is. For some people, retiring early would mean not working after 60. For others, it would be ending their career at 45. Whatever it is, it must be defined. A vague idea, “I want to retire early,” is hard to achieve. A concrete goal, on the other hand, can be sought. Progress towards it can be measured. A goal will only be achieved through discipline and hard work. One the age of early retirement is determined, people must work towards it. This is done through saving, which requires discipline. The next step is to learn about the different methods of saving, or developing a plan. This is helpful, but no savings plan saves. People save, if they are disciplined. Having a plan, or strategy, for saving is necessary. Here is where the financial aspect of early retirement begins. The adages, “Work smarter, not harder,” and, “Make your money work for you,” are essential to the early retiree. To grow as large an income stream or nest egg as possible, early retirees must understand the available investment options. Understanding the differences between an IRA, Roth IRA, 401(k) and brokerage account are important. Also, the types of investments, stocks, bonds, mutual funds, real estate, must be comprehended. Only after being well-versed in these financial investments, can someone earn as much as possible, as quickly as possible. The simplest understanding of a retirement account is a nest egg. It is a large sum of money, which is meant to meet one’s financial needs during retirement. However, amassing a large enough nest egg by the hoped-for retirement age can be a struggle. Many early retirees rely on supplemental income, in addition to their nest egg. Having multiple income streams lowers the level of assets required for retirement. Their diversity also reduces risk. There are many possible sources for income: rental properties, business ownership, royalties, annuities and others. Retiring early is nearly impossible, if one’s expenses are high. By lower expenses, the household cash flow’s stress is greatly eased. The quickest way to reduce expenses is by paying off debt. For the average family, a mortgage, credit card payments, car payments and student loans account for most of a month’s expenses. If these can be eliminated, then the need for income is greatly reduced. Many people want to retire early, but there are generally three things that hold people back from doing it: a lack of discipline, a lack of knowledge and a lack of discipline. Early retirees are disciplined savers. They are wise investors. They are disciplined spenders. Anyone who wants to retire early should focus on these two areas. First, develop discipline and control. Second, learn how to invest.